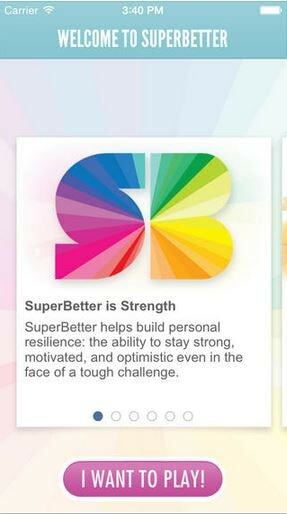 SuperBetter is a tool created by game designers to help you build resilience and get stronger, happier and healthier. 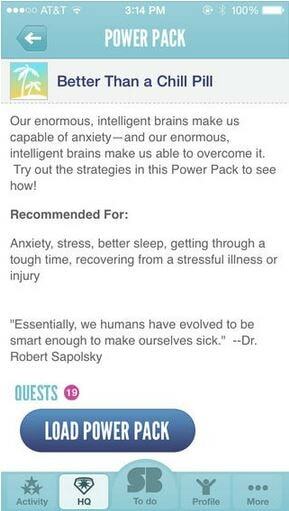 Choose from over 25 power packs or design your own adventure for any area of life where you want to feel better. Each activity uses gaming techniques to help you tackle a tough challenge, change what isn't working and reach your goals. You can get support and help others while having fun. This is a high quality, evidence-based app. It has great game design with very professional looking graphics and useful information about resilience. The highly positive tone, cute names and focus on physical as well as emotional health will not suit everyone’s taste. Check it out to see if you like it for yourself. The humour of it! Made me giggle - battle 1 bad guy, hug yourself, the quests - it's very intriguing and takes my mind of things! 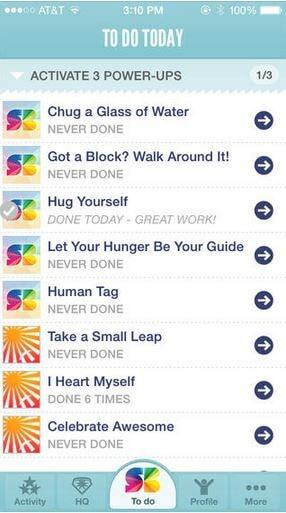 This is by far one of the best apps I've seen in regards to mental health and I would recommend it to anyone. I think it helps reduce the stigma too, because stress, depression and anxiety doesn't all have to be black - but can be colourful and a lot of fun too. I keep getting an error message saying 'the request timed out'. Also, it would be nice to do a bit of a tour since there is so much involved in the SuperBetter app. The engagement a person would feel operating the app.